Photo courtesy of San Francisco Shakespeare Festival's Facebook page. 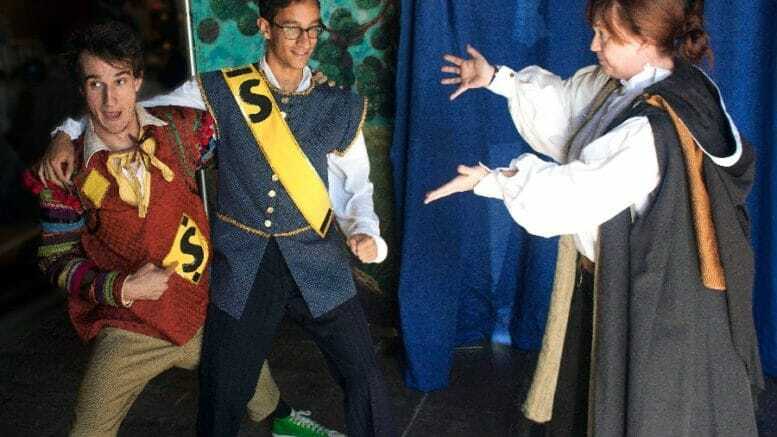 The San Francisco Shakespeare Festival’s “The Comedy of Errors” returns to Cupertino Community Hall on Dec. 8 at 4 p.m.
“The Comedy of Errors” is an hour-long, family-friendly performance that will conclude with a Q&A session with the cast at 5 pm. This is the second time Shakespeare’s “tale of chaos and confusion” caused by two sets of twins has made it’s way to the Cupertino stage. No ticket or reservations are needed to attend the show. Community Hall is located at 10350 Torre Ave. at the Cupertino Civic Center. Be the first to comment on "SF Shakespeare Festival’s “The Comedy of Errors” returns to Cupertino"